Say! Look what I found at the Round Rock, TX Barnes & Noble. 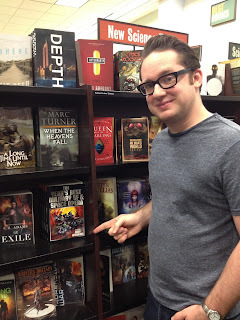 It's the elusive The Year's Best Military SF and Space Opera in its natural habitat. That's right, the book hits store shelves today! Links to places you can buy it below. Or you could, you know, go into an actual bookstore and pick it up. Your call.